Sometimes you’re inspired to try something new, and sometimes you’ve just run out of the instant stuff. This is definitely the latter case. We had looked up a recipe from allrecipes.com a while ago, and decided to give it a try. There are two main differences between the homemade and commercial versions (not counting the various “enriched flour” ingredients). 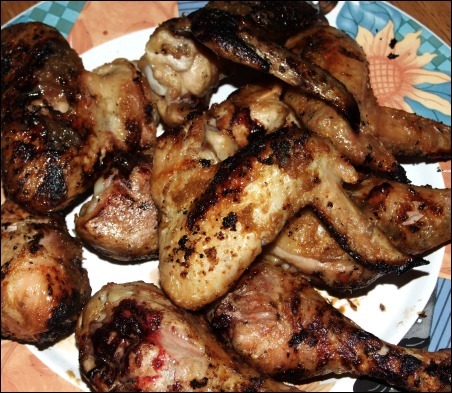 The first is the use of butter instead of hydrogenated cottonseed or soybean oil, and the second was that the homemade recipe used only one egg instead of two. The pancakes themselves came out lighter and softer than their commercial counterparts. 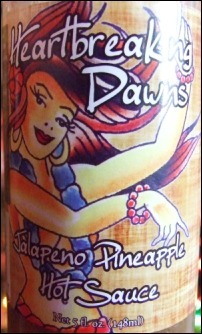 The taste was good, but it felt a little like something was missing. We’re thinking of trying a second egg in mix next time to see how that tastes. Overall it was a fairly easy process, and I liked removing the hydrogenated oils from the mix. Now, after many iterations and recipe tweaks from ourselves and others, we’ve posted the recipe we use, below. 2. Combine dry ingredients in a large mixing bowl. 3. Whisk egg and melted butter into “soured” milk. 4. Pour flour mixture into wet ingredients and whisk until lumps are gone. 5. Heat nonstick large skillet or griddle over medium heat and coat with cooking spray or light oil/butter. Pour 1/4 cupfuls of batter onto griddle. Cook until many bubbles appear on the surface of the pancakes. Flip with a spatula and cook until browned on the other side. Makes about 20 good sized pancakes. Kristen and I, and my sister, brother in law and niece all went to Murphy’s Bistro and Tavern in High Falls, NY, the restaurant which replaced the Northern Spy Cafe. The staff was friendly and the food was amazing! 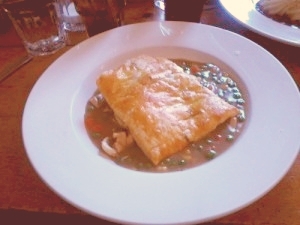 I ordered the Chicken Pot Pie which was delicious. The crust on top was light and flaky, the chicken was tender and the gravy was to die for! Kristen had the burger which came with potato wedges. I sampled both, the wedges were awesome and the burger melts in your mouth. My brother in law had the Shepherd’s Pie which he said was the best he ever had. For dessert, I had the Bailey’s Cheesecake, Kristen had the Chocolate Mousse, and my sister had the Flourless Chocolate Torte. I sampled all of them, and each one was amazing. The mousse and the torte were both deliciously chocolatey and the cheesecake was rich and creamy. I will definitely be going back, the hard part is going to be choosing between the Shepherd’s pie, the Pot Pie of the Day, the Philly Cheese Steak Panini or…. Obviously I’ll be going back a lot. I decided to make some Blueberry Crepes for our 16th anniversary breakfast. Looking around the web I found a lot of variations but I decided to go with the way I remembered having them as a kid. (Does anyone remember a restaurant called the Crepe and the Pancake?) These were not the rolled kind that caused so many injuries in an episode of Seinfeld, but more gently folded like an omelet. First step was the whipped cream. I don’t mean the store bought stuff; it only takes a few minutes to throw together the real thing and it’s so worth it! Once made, I put the whipped cream in the fridge and began working on the crepes. For the filling, I combined blueberries, orange juice, cinnamon, vanilla and salt in a sauce pan and put them on a low heat. I heated them until the blueberries started to soften and release their juices. I set the mixture aside and made the batter next. 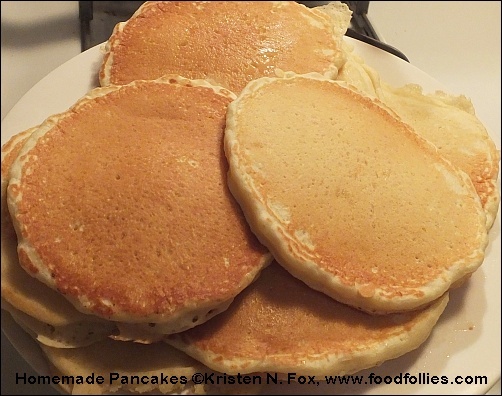 The batter is very similar to pancake batter but a lot thinner. I thought it was too thin at first, but decided to trust the recipe and go for it. Flipping them was tricky, I used two spatulas to get the majority of the crepe off of the pan before flipping. Once they were done I moved the crepes to a plate one by one, spooned in the filling to one side and folded them over. The filling was still warm enough to serve, so there was no need to heat anything. Top them with a dollop of whipped cream, then eat! The result was delicious! The blueberries were a little tangy which worked really well with the sweetness of the mixture and the whipped cream. The crepes had a soft, almost elastic texture to them which held the filling together but broke easily with a fork. I’ll definitely be making these again in the future. Put ingredients in a medium to large bowl and mix with an electric mixer or a food processor. It will take a couple of minutes but watch it carefully. Stop mixing once peaks start to form or you may end up with butter. Store whipped cream in refrigerator until ready to garnish crepes. 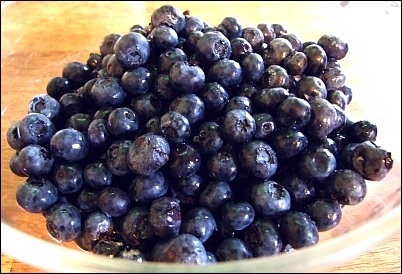 Mix blueberries, orange juice, sugar, salt, and vanilla together in a medium saucepan. Heat over low heat until the blueberries start to soften, stirring occasionally. Sprinkle a small amount of corn starch into the mixture and stir. Remove from heat but continue to stir occasionally. If the sauce looks too thin you can add more corn starch and reheat for a few minutes. Be careful not to over starch it though. It’s better for the mixture to be a little runny than it is to taste corn starchy. Once done, it will probably stay warm enough to spoon right into the crepes, but if not, just reheat over low heat for a few minutes. Preheat griddle or pan and add butter or nonstick cooking spray. Once warm, keep it on a low to medium heat. In a large bowl, combine the dry ingredients first, whisk together thoroughly. Break the eggs in a separate bowl and beat just enough to break the yolks. Add the eggs and milk to the dry mixture and whisk until batter is smooth. It will look very thin, but that’s normal. Use a ladle or pitcher to pour the batter onto the griddle in approximately 9-inch circles, although you can make them bigger or smaller as you wish. Watch for the sides of the crepe to look firm and then gently flip with a spatula. 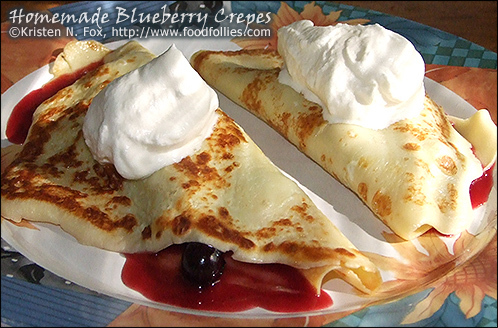 Once both sides are done, place on a plate, scoop the prepared blueberry filling to one side of the crepe circle, then fold the crepe over and garnish with whipped cream. When I saw the 2.5 lb container of fresh blueberries for 5.99 I looked at it sort of lovingly and thought, “I could make a blueberry pie.” I’ve never actually made a homemade pie. Kristen usually is in charge of pies, while I’m normally in charge of grilling and making omelettes. When I worked as a cook, our pies were made with canned fillings, so there was no help there. I did go the easy route and went with the pre-made pie crust. I’ve actually made my own pie crust before, for Shepherd’s Pie, but since I was starting this pie in the evening, I wanted to move things along. 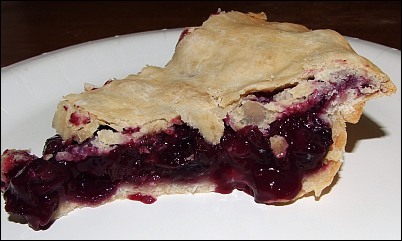 It took all of thirty seconds for us to find some basic blueberry pie recipes on the web and tweak our own variation. Putting the ingredients together was a snap, and we have enough blueberries leftover for sprinkling on breakfast cereals, mixing in yogurts and possibly sharing with the local wildlife. Kristen guided me through the proper method of sealing the two pie crust halves. When I made my Shepherd’s Pie, the edge was a bit on the crusty side. The baking took longer than we expected, about an extra half hour, but the results were delicious. This is the first homemade blueberry pie I’ve ever had and it beat every store or restaurant pie I’ve had hands down. Prepare crust. If you have already made dough, on a lightly floured work surface, roll out half of the dough to 1/8-inch-thick circle, about 13 inches in diameter. Drape dough over a 9-inch pie pan and put into the refrigerator to chill for about 30 minutes. If you have purchased pre-rolled circles, allow them to defrost (if frozen) and place one of the circles in the pie pan. Combine blueberries, flour, cinnamon, lemon juice, and sugar and place in the chilled bottom crust of the pie pan. Dot the top with butter pieces. Roll out the remaining dough to the same size and thickness. Place the other piece of dough on top, trim to 1/2 inch over the edge of the pan, and crimp the edges with a fork or your fingers. Put the pie in the refrigerator to chill until firm, about 30 minutes. Pre-heat oven to 425°F in the meantime. Remove from refrigerator. Score the pie on the top with 4 cuts (so steam can escape while cooking) – add a baking ring or put foil around edges of pie to protect edges. Bake for 20 minutes at 425°. Remove pie ring/foil. Reduce heat to 350°F and bake for 30 to 40 minutes more or until juices are bubbling. Let cool before serving. Kristen and I couldn’t stop laughing at this poor abomination. 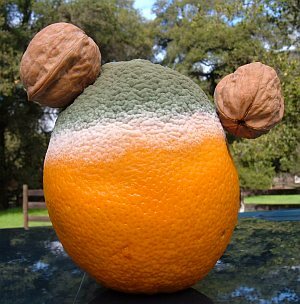 It looked like some sort of deranged mousketeer. After dubbing it: Mr. Fuzzy Nuts I briefly considered giving him his own T-shirt and possible cartoon series. Alas, he lost an ear whilst trying to perch precariously on a fence post, so this will be his one and only appearance. and continued cooking regularly when I moved out on my own. from “cook at home” to “professional cook” is not an easy one. table. It’s like planning out a major party on a daily basis. experienced cooks/chefs may have to bear with me at times.